With spring quickly approaching, the days have gotten longer, brighter, and (slightly) warmer. As the torrential winter rains dwindle to spring showers, we’re looking forward to a fresh new season of renewal and regrowth. 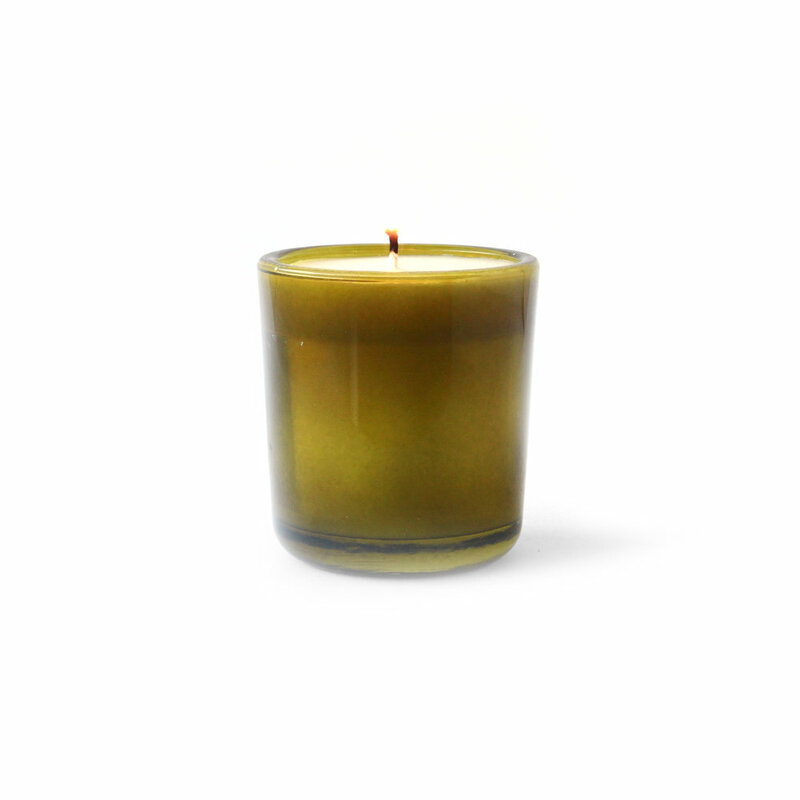 While we await the changing seasons, we’ve been burning a crisp new office candle called Coquina, by YIELD. Its bright and refreshing sea salt-laden scent has us hoping that Punxsutawney Phil is right, and that spring will soon be on its way! With a soy base, the candle maintains a wonderful blend of essential oils essential oils, enveloping our studio in its uplifting aroma. We take a deep breathe and relax just a little, into our desk chairs and enjoy it's fragrance, as the candle slowly burns down. Coquina’s unique grey-toned double-wall vessel is constructed of premium borosilicate glass, and comes packaged in a simple, modern grey sleeve. The double wall provides insulation for the hot wax contained within, which helps protect any objects next to the candle from heat and damage, and assists the candle in burning down more evenly. When the candle is done, you can use the vessel as a drinking glass! 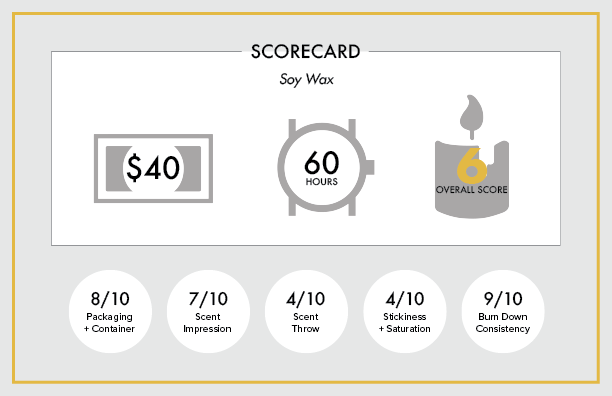 Our only qualm with this candle is that the wax tends to cool with small pits and divots on the surface, which is more common in natural soy wax candles. YIELD was founded by Rachel Gant and Andrew Deming, who met in San Francisco while attending California College of the Arts. With their combined degrees in industrial design, architecture studies, graphic design, and design strategy along with with a stint working for Yves Béhar designing award-winning projects for clients such as Herman Miller and Sodastream, it comes as no surprise that their products are so thoughtfully created. Now based in Saint Augustine, FL (the oldest European settlement in the U.S.), their candle scents are inspired by the city’s “welcoming blend of lush, tropical flora and cozy narrow streets blooming with fresh jasmine in the spring and smoked firewood in the fall.” In addition to candles, they also design furniture, home goods, and lighting, all with a focus on timeless design. They even have a scent dedicated to Frank Lloyd Wright, which they composed after visiting his desert retreat, Taliesin West and touring the Eames House. They came away not with a sense of having visited buildings but a spiritual sense of elevation that they wanted to bring home with them. Yield strives to create modern experiences through their products with a sense of timelessness, while paying homage to the past. Our office has truly enjoyed burning this candle. It livens the atmosphere, and reminds us that spring is near. We also appreciate the multi-purpose vessel, and look forward to using it for our morning coffee! YIELD also sells a matching double-wall pour over, which fits atop the glass vessel perfectly. Dimensions: 3.5”H x 3”D; 6 oz. Purchase your own here. It may be Spring, but it’s still pretty chilly in San Francisco! Lately, we’ve been burning Tatine’s Norwegian Wood, a candle that’s meant to have a warm, hearty scent. It’s from their Garden + Forest Infusions line, which comes in a very cool wood grain embossed box. The Norwegian Wood scent is no longer available online, but they have a scent called Woodsmoke, which has the same woody notes. Founded in 2001, self-taught candle maker Margo Breznik first started experimenting with candle making in her apartment in Chicago. After years of honing her craft, she took a leap of faith, quit her day job, and opened a brick-and-mortar store to showcase her candles. She eventually transitioned into wholesale, landing a large account with Anthropologie (where she created approximately 50,000 candles by herself! 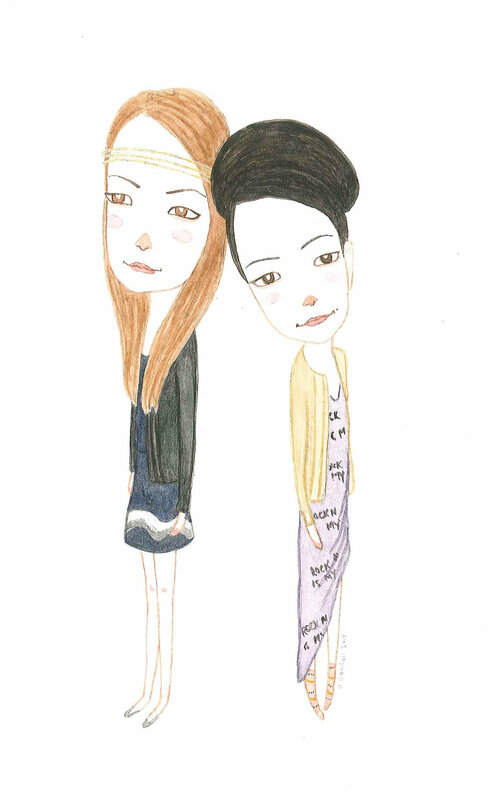 ), and has continued to build products and collaborations with other brands. The Norwegian Wood candle wax has a very natural, earthy scent. With hints of moss and twigs, it reminds us of a long hike in the woods after a heavy rain. It’s poured in a heavyweight, green glass vessel, made of 40% recycled materials. Upon lighting the candle, we found it to have very little stickiness, and the scent did not carry very well. After burning for nearly 4 hours, the scent was still so light, we could barely tell that it was burning in our office. We think this candle would be better suited in a smaller, more confined space (like a powder room), as it’s no match for our large, open office! Although this candle may not have the strongest fragrance, it has a very clean burn. Only a small amount of residue was left behind on the vessel, and the wax dried very evenly, with no bubbles or divots. The vessel itself is very aesthetically pleasing, and would make for a great decorative candle in a smaller room, office, or bathroom. 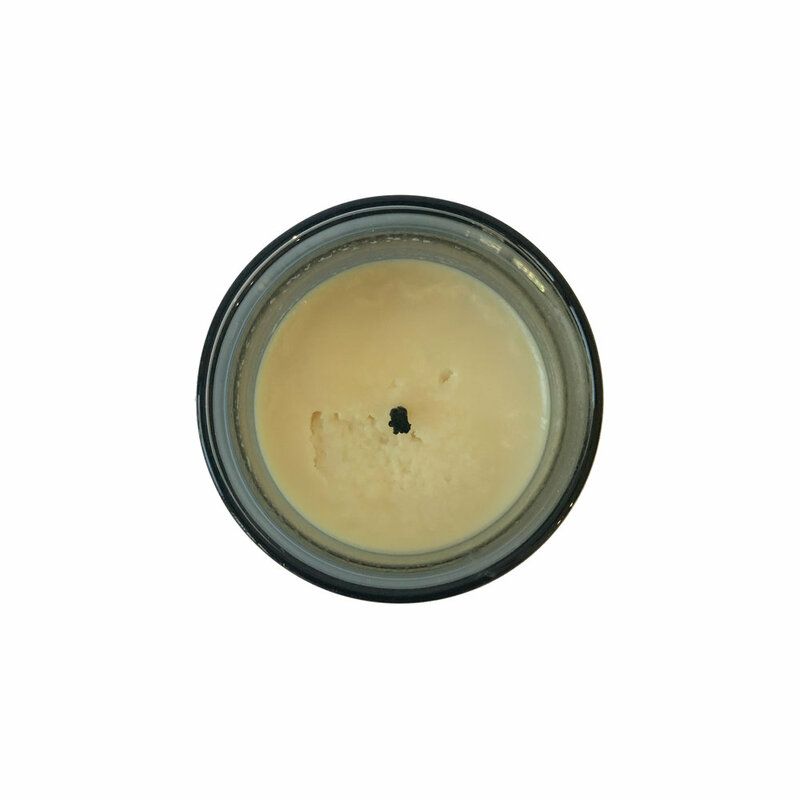 You can purchase your own Woodsmoke candle here. Dimensions: 2-½” Dia. x 3-¾”H, 8 oz.